After the pain and annoyance of doing taxes is over, for those getting a refund it means making a decision about what you will do with the money. There are some good reasons why home automation tops the list for tax refunds. For most people, a refund means taking on a home improvement project without taking on the issues of biting into weekly pay to get it done. Since the average tax refund is around $3,000, it provides a lot of room to do something that will add value, safety, security, and convenience quickly and painlessly. In the early years of home automation, it was largely viewed as an expensive luxury item and not something for the average homeowner. Today, that is a whole different story. The technologies have advanced so much and the industry so expanded that the components that make up home automation have become widely available, and therefore much more affordable. Home automation completely affordable to nearly every budget, and more advanced than ever. Home automation is also not just a convenience. Today, the trend is to automate and connect all parts of our lives. In fact, manufacturers of everyday products, appliances, and devices such as smart lights and smart cameras, expect that consumers will be integrating them into a smart home system and design them to meet those needs. If something can be more quickly and efficiently done, the expectation is that it can and should be and product makers are responding to the trend. Where before it was a novelty, today it is just part the everyday life of a busy American. Another reason homeowners use tax refunds for home automation is that home automation pays them back in savings. Not only can you control the usage of lights and appliances or the temperature of your home from one smart app, the system can learn your usage patterns and adjust the lighting, smart thermostat, and smart appliances accordingly. Even if all your security system did was to sound an alarm, it would still be worth having. But why settle for that when a smart security system is easier to use and provides additional advantages that improve safety? Connected locks, smart cameras, video doorbells, and sensors can all work together to provide a network of safety and information sent to you via alerts when anything is out of the ordinary. It is near impossible to calculate the added home and life value that a home automation system adds, but one thing is certain; it is a wise investment of a tax refund. 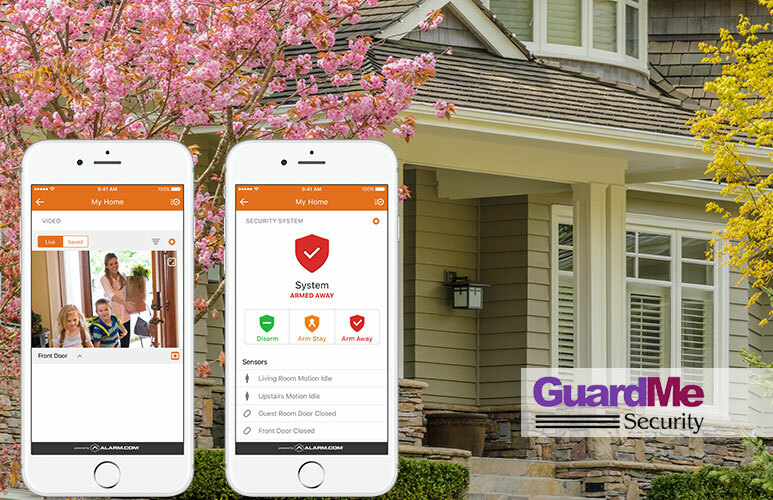 Guardme Security provides customers with professionally designed custom home automation systems to fit their needs and their budget. Craig is the President of GuardMe Security, a top security company providing home and business alarm systems to the residents of New Jersey and across the country. Are Wireless Keypads Better for an Alarm System?